Even after living a long life, people need guidance on how to make the most of their retirement years, especially as the challenges become more complex financially, physically, and cognitively. There are many ways to make a plan, and many resources to draw upon as you prepare for senior care costs. Seniors and their caregivers are vital to this process. It pays to learn as much as possible about the facts of aging. For example: understanding costs. Costs vary widely by states, but the median cost for assisted living is $3,600 per month, and additional care services mean additional costs. At some point, seniors may require residential care at a significantly higher expense. When faced with the cost of care and their own concern for their loved one, many caregivers quit their jobs to take responsibility for their seniors. However, it’s important to remember that this costs caregivers in terms of lost wages, benefits, and disruption in a career path. Studies show, on average, lifetime wages lost for women at $325,000, and for men $284,000. Before you make a drastic decision like this, consult with your senior loved one, and take the first step to an informed decision by scheduling a meeting with a Care Management team member. This will help you understand and plan for the considerations for your senior loved one’s unique situation. A Care Manager will have an initial meeting with the seniors and involved family members, which typically lasts about an hour. Assessments are made of the seniors’ situation, a plan for living in retirement is developed. Sometimes the family lawyer and a financial planner are also present to draw up documents. During your assessment, your senior’s assets will be reviewed, and it may be beneficial to consider Medicaid planning. Until recently, Medicare did not pay for any aspect of long-term care. Now the Centers for Medicare and Medicaid Services have worked with some Medicare Advantage Plans to offer non-skilled private-duty care, beginning in 2019. 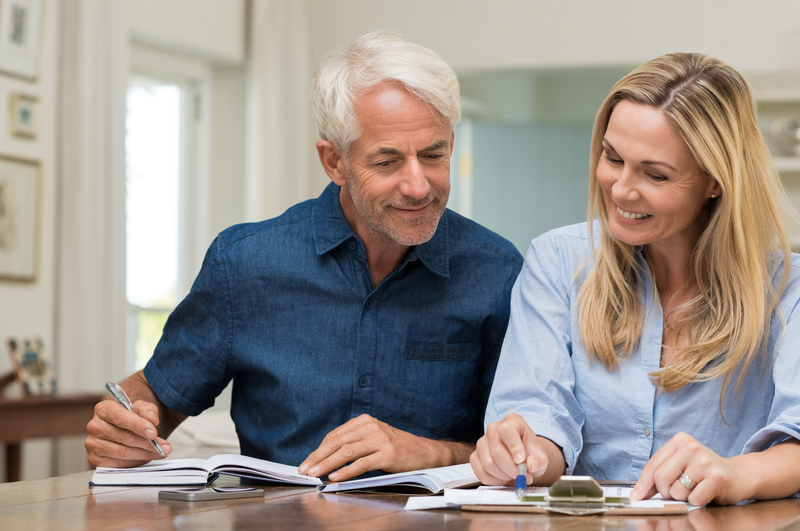 Trusted attorneys and financial planners can address these financial considerations with seniors and their loved ones to advise the best way to fund long-term care needs. Should I buy long-term care insurance? A “double-edged sword” is how it has been described—long-term care insurance is great for seniors who are able to use it. However, if it’s not used thousands of dollars of costly premiums could be lost. Care Maangement team members typical refer seniors to their financial planner or attorney because it is a very complex insurance to understand. Should I sell my life insurance? There are some companies who will purchase the life insurance policies of seniors so that they can stop paying unaffordable premiums. However, like any decision, it is important to consider your unique situation. Should I explore a reverse mortgage? A reverse mortgage is when someone sells their house back to a bank or a reverse mortgage company. The seller can remain in their home, mortgage-free, and receive a lump sum or monthly check for the home. The drawback: if the senior permanently leaves the home the house is lost. You have to live on the property to stay on the property. What about Veteran benefits? There are two kinds of VA benefits. First, a service-connected benefit compensates Veterans for injuries received during their service. There is another benefit for Veterans or their spouses with low assets and income who served during wartime. The Veteran can qualify for up to $2,300 per month, and the spouse up to $1,200 per month. Don’t hesitate to consult with a Veterans service officer about this benefit. Caregivers should monitor the senior’s checking account to see that bills are being paid and that various charities are not siphoning off numerous donations. Put your seniors on a no-call list, so they are not bombarded by telemarketers and charities who add them to call lists. Be aware of scam artists, and instruct seniors never to give personal information over the phone. One involved a Bethesda resident who received a call from a scam artist claiming to be the “IRS,” and fortunately Bethesda was able to act quickly to get the police involved. As more service personnel are required in the home, paper statements (bank and credit card) should be eliminated because they contain information that can be stolen. An adult child should consider having the senior’s mail forwarded to their house. To avoid unwanted spending, leave seniors with a limited number of checks on a small account. Or give them a low-limit credit card of $100. The State Health Insurance Assistance Program (SHIP) provides free health benefits counseling for Medicare beneficiaries and their families. It is an independent program funded by Federal agencies and is not affiliated with the insurance industry. Additionally, the Center for Medicare and Medicaid Services offers a wealth of knowledge for those planning for senior care. Planning for senior care costs and navigating all of the resources on your own can be stressful for retirees and their families. At Bethesda, we help seniors find solutions and options that make the most of their retirement. Give us a call to learn more about our Care Management program.